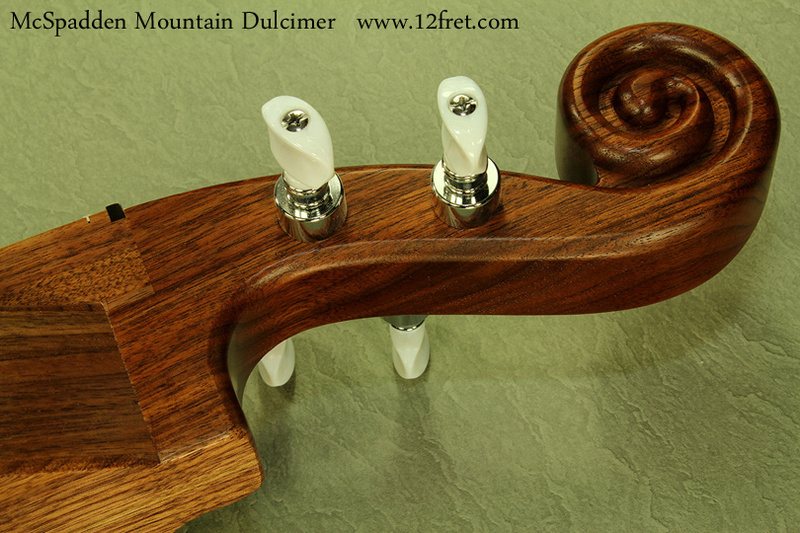 The Mountain dulcimer has been popular on the folk scene for many decades. We have just started to detect a renewed interest in this easy-to-play historic instrument and have imported an exceptional quality American hand made example that features solid Walnut construction with geared tuners, heart shaped sound holes and a carved scroll peghead! 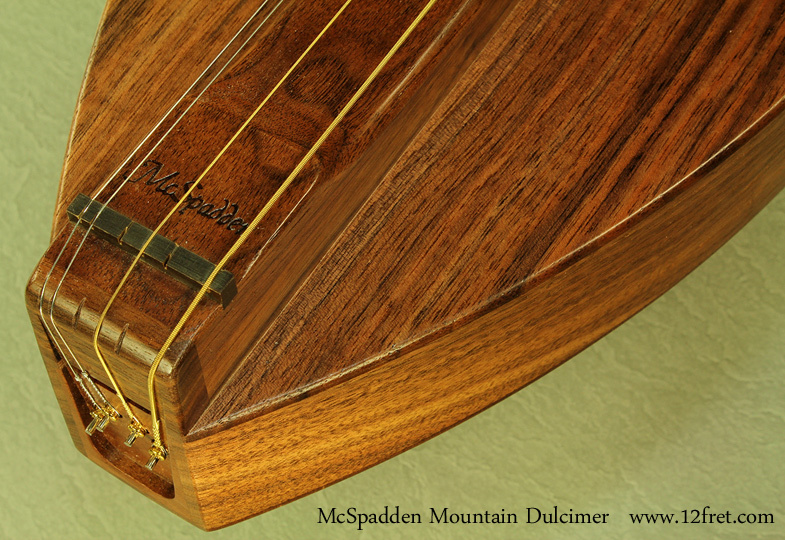 The McSpadden Mountain Dulcimer Company of Arkansas made their first mountain dulcimer in 1962. 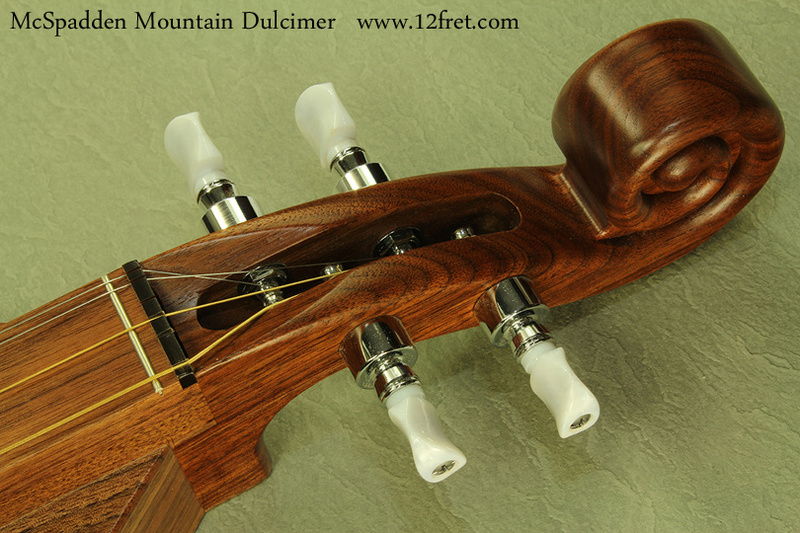 They make only mountain dulcimers and their four full-time craftsmen have over a century of experience among them. The experience they have gained gives them the confidence to offer you a high-quality dulcimer at an affordable price, covered by a guarantee you can count on. Traditionally played on the lap, the Mountain dulcimer has a haunting lyrical sound and can have you picking out tunes within minutes. 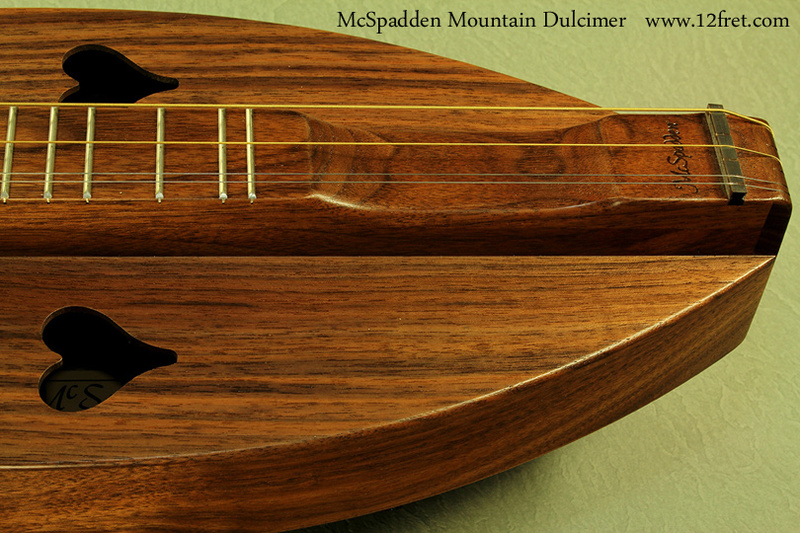 McSpadden dulcimers are top quality and suitable for professional use, live or in a recording studio. The dulcimer pictured, model 4SHWW, is currently strung with a heavier gauge and tuned to baritone, which really fills out its sound. It uses a 28 inch scale length and is normally tuned D-A-AA. These instruments are sold with a zippered carrying case.